With AWS services and partner resources, customers can build and deploy a flexible and scalable backup infrastructure that protects all data types, including object, block, and file. Explore these use cases and AWS storage features that can help you build cost-optimized backup solutions. Many third-party backup services have built-in cloud connectors that can be enabled to send data backups to AWS without disruption to your organization's daily operations. If your current on-premises solution does not have built-in cloud connectors, you can use gateway services like AWS Storage Gateway to create a seamless connection between on-premises environments and AWS. During a restore, backup data is pulled back to the on-premises environment and reinstated for production. Below is a conceptual architecture of a hybrid cloud backup solution. Backups are generated on-premises where the backup master server is hosted and sent to AWS to be stored in Amazon S3, including the lower cost storage classes – S3 Standard-Infrequent Access, S3 One Zone-Infrequent Access, S3 Glacier, and S3 Glacier Deep Archive. With AWS Storage Gateway, customers can retire physical tape libraries and replace them with durable and secure cloud-enabled storage capabilities. AWS Storage Gateway lets IT organizations transfer backup jobs from on-premises tape or virtual tape library systems to AWS without disrupting existing on-premises workflows. AWS Storage Gateway’s virtual tape library interface can help you update your backup infrastructure, reduce the need to transport storage media to and from offsite facilities, and eliminate upfront capital investments and resource maintenance of aging tape media. AWS offers the broadest range of database services to support virtually any use case. Some of these services, such as Amazon Relational Database Service (RDS) and Amazon Dynamo DB, have built-in backup capabilities to protect your data and related applications. Customers can also use EBS snapshots to backup Amazon EBS volumes that support other database services running on Amazon EC2. To learn more about these services and features, visit the resources below. Amazon S3 supports features to manage your data throughout its lifecycle. You can use S3 Storage Class Analysis to monitor data access patterns and identify data sets that should be moved to more cost-effective storage classes. Based on the reports generated from S3 Storage Class Analysis, you can configure lifecycle policies to move a data set to a cheaper storage class or an archival storage class for maximum savings. You can also use S3 Lifecycle Management polices to schedule deletes of objects that have reached the end of their lifecycle. 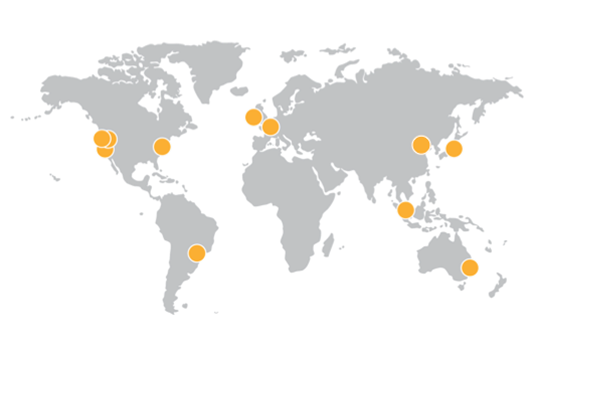 AWS global infrastructure is specifically designed to help customers stand up and manage multi-regional architectures. Amazon S3 offers cross-region replication (CRR) which makes it simple to replicate S3 objects into other AWS Regions for reduced latency, compliance, security, multi-region backup, and disaster recovery. The metadata, access controls, and object tags associated to the source S3 object are also part of the replication. Any subsequent changes made to the source object and its properties are also made to the replicated S3 objects. Many organizations, particularly those in highly-regulated industries such as financial services, healthcare, legal services, and public sector, must retain archives for extended durations to meet regulatory compliance requirements. To assist these customers, AWS offers two Amazon S3 storage classes for cost-effective archives - S3 Glacier and S3 Glacier Deep Archive. You can also enforce write-once-read-many (WORM) policies with S3 Object Lock. This S3 management feature blocks object version deletion during a customer-defined retention period so that you can enforce retention policies as an added layer of data protection or to meet compliance obligations. You can migrate workloads from existing WORM systems into Amazon S3, and configure S3 Object Lock at the object- and bucket-levels to prevent object version deletions prior to a pre-defined Retain Until Date or Legal Hold Date. Objects with S3 Object Lock retain WORM protection, even if they are moved to different storage classes with an S3 Lifecycle policy, such as into S3 Glacier or S3 Glacier Deep Archive.